Advanced Protection Systems can be your second set of eyes on your alarm systems. Part of our service includes daily, weekly and monthly testing of your systems. This includes UL Central Station Monitoring, video monitoring and back up for redundancy; offering your central station protection against equipment failures and utility outages. We are trained in the proper compliance and standard procedures and emergency protocol should an alarm signal be received. Additionally, we offer monitoring for a wide variety of cellular devices and Internet. We monitor the IP communicators of all the industry’s major manufacturers. Honeywell’s IPGSM-4G Fire Alarm Communicator is the only Wireless Communicator approved by the Billings Fire Department. As a leading edge communications solution for monitoring Fire Alarm systems, it is also incredibly affordable. Employing a combination of Internet and/or GSM cellular communications, the difficulties of traditional POTS phone lines are now a thing of the past. Saves recurring job-site costs when dedicated phone lines are replaced, making the IPGSM-4G a product that truly pays for itself! POTS Line (Analog Phone Line) $50/mo. + $35/mo. (Monitoring charge) = $85/mo. Our monthly charge for the IPGSM-4G is less than $50/mo. 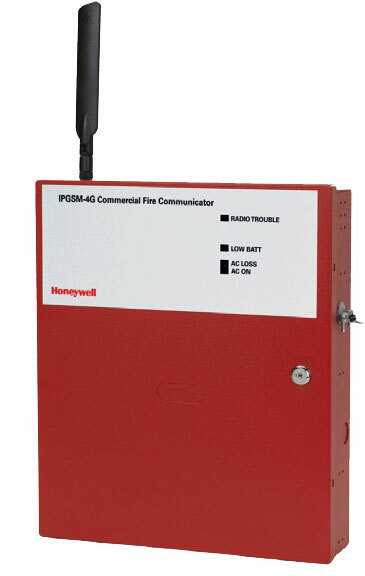 Learn more about Honeywell’s IPGSM-4G Fire Alarm Communicator features and benefits here! In the USA Underwriters Laboratories (UL) is a leader in inspection and certification of central-stations. UL Standard 827 must be adhered to in order to maintain a UL issued Central-Station listing. UL conducts annual audits of these listed facilities to ensure compliance. “UL Listed” companies typically offer higher levels of service and reliability because they are mandated to follow certain regulations. Higher levels of service also include range of services, and a separation from companies with conflicts of interest who may be owned or operated by entities that in fact compete with the central station’s customers. If the UL Listed Central Station is “automated”, the computers and software must meet very special requirements processing and storing very large amounts of data and integration with many different alarm protocols.